HYBRID WARFARE BRIEF: ‘The term hybrid warfare was coined nearly a decade ago in US military writings to describe a “new” type of battlefield adversary confronting American forces that did not fit neatly into the traditional Western analytical categories of either conventional or unconventional threat,' explains Dr. Patrick Cullen. Senior Research Fellow Patrick Cullen and Research Fellow Erik Reichborn-Kjennerud were invited give a briefing on hybrid warfare at the meeting. 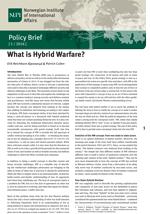 In January 2016, the two NUPI researches published a NUPI policy brief entitled “What is Hybrid Warfare?” that explores the theoretical aspects of this concept. The brief provides a definition and an overview of the evolution of the use of hybrid warfare, first by non-state and then state actors. 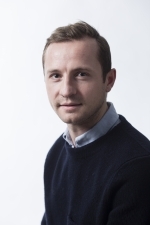 The authors write that ‘the term Hybrid Warfare (HW) rose to prominence in defense and policy circles as well as in the media after the Russian annexation of Crimea in 2014’, when ‘it was dragged out from the relative obscurity of military theory circles to become a mainstream term used to describe a myriad of seemingly different security and defense challenges to the west’. ‘The term hybrid warfare was coined nearly a decade ago in US military writings to describe a “new” type of battlefield adversary confronting American forces that did not fit neatly into the traditional Western analytical categories of either conventional or unconventional threat. Instead, these new hybrid threats blurred the two, combining mixtures of high-tech and low-tech weaponry, new strategy and tactics, and a wide and confusing array of state and non-state combatants with overlapping political, criminal, informational, economic and terroristic methods and agendas’, Cullen explained last year. 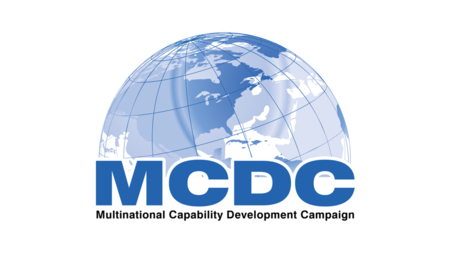 Cullen and Reichborn-Kjennerud are participating in Countering Hybrid Warfare, which is part of the project Multinational Capability Development Campaign (MCDC). 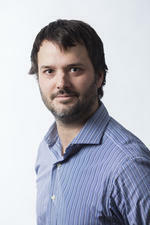 The aim is to develop concepts that make us better prepared to counter such forms of warfare. ‘The term hybrid warfare usefully captured Moscow’s use of “little green men” - like soldiers without insignia, irregular militias and other proxy forces, its combination of high-end and low-end weapons systems and tactics, and its intentional blurring of the state/non-state and conventional/unconventional divide’, Dr. Cullen stated. According to a concept note circulated by Ukraine ahead of the meeting, the nature of warfare has changed significantly due to the increasing use of new technologies and strategies, according to What's in Blue, a series of insights produced by Security Council Report on evolving Security Council actions. What’s in Blue reports this is the first time that Council members and the wider UN membership have specifically discussed hybrid warfare. According to What’s in Blue, the meeting was open to the wider UN membership, UN entities and nongovernmental groups. 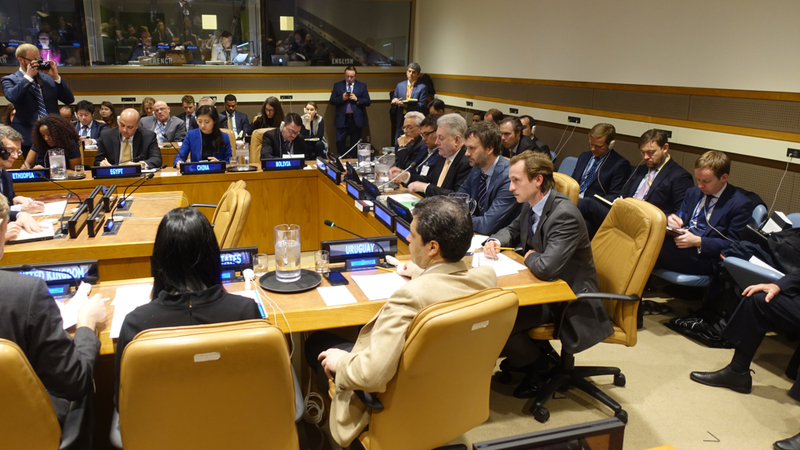 Ukrainian ambassador Volodymyr Yelchenko delivered opening and closing remarks, while briefings were given by Taras Berezovets, Head of the Fund for National Strategies and Alexander Motyl, Professor of Political Science at Rutgers University, as well as Cullen and Reichborn-Kjennerud.